EDGEFIELD, S.C. — The National Wild Turkey Federation congratulates Matthew J. Lohr on his appointment to serve as chief of the U.S. Department of Agriculture’s Natural Resources Conservation Service. In this role, he will provide leadership for NRCS and its mission to support America’s farmers, ranchers and forest landowners in their voluntary conservation efforts. Lohr was raised on a Century Farm in Virginia’s Shenandoah Valley, and has committed his entire life to the betterment of agriculture. A Century Farm is officially recognized to have been held by a family for at least 100 years. 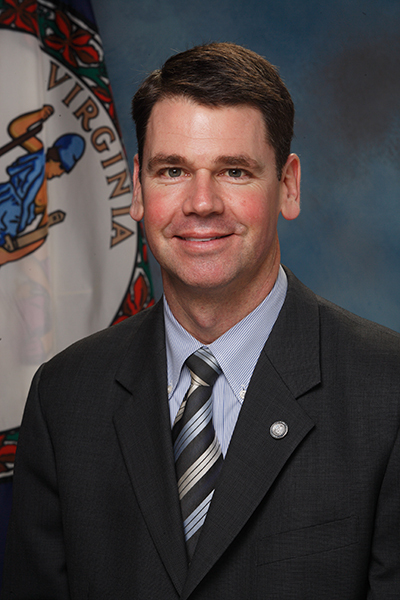 In addition to Lohr’s lifelong connection to agriculture, he served in the Virginia House of delegates from 2006 to 2010 and as Virginia’s Commissioner of Agriculture and Consumer Services from 2010 to 2013. “The knowledge and experience (Lohr) brings to the table will help ensure our locally-led, science-based approach continues to offer farmers the conservation solutions needed to enhance their environment and commercial viability,” said Secretary of Agriculture Sonny Perdue upon announcing Lohr’s appointment. The NWTF has been a proud partner of the NRCS in forest landowner matters for more than 15 years, and recently signed a cooperative agreement with the NRCS to sustain and improve forest ecosystems on as much as 350,000 acres of private land across 24 states over the next five years.